Here we are again; the knocking on the door means our postie (well, courier person) has another foodie surprise from those lovely people at Degustabox. The theme this month is picnics – and the food inside certainly plays into it well including plenty of drinks and snacks. Great stuff! So pausing only to take photos of the products before we scoff the lot (*or at least 90% of them), on with our views on what we've been sent. This month we were sent the alcohol-free version of the box; those receiving the “alcohol” version would have had a vodka icepops (from Icycl, RRP: £2.50) and Rekorderlig strawberry-lime cider (RRP £1.49 per bottle) instead of our non-alcoholic substitutions. First out of the box is a 6 pack of Pitch Chocolate flavour filled Brioche. In a previous Degustabox (October 2014’s box) we had been sent some Brioche Pasquier products and really enjoyed them (then it was the Pain au lait and the sliced Brioche loaf). This month sees us getting two different products – the first is this Pitch! Chocolate flavoured 6-pack, the second is a chocolate-chip 4-pack. But let’s not get distracted and side-tracked here – one product at a time, please! Opening the bag, it’s nice to see that these are individually wrapped; already making them ideal for the picnic theme, or for putting into a lunchbox for a post-sandwich treat. Like we found with the previous Brioche products, the ‘bread’ of these rolls is a little sweet, soft and – well – actually has a lot of flavour; warning – very moreish. The filling is tasty, a mix of chocolate and hazelnut (imagine Nutella) and works well; I’d say it’s a little nicer than the traditional, darker chocolate filling you get with pain au chocolate (style) products. Definitely a favourite! The second of the Pitch Brioche Pasquier products we were sent this month was the Chocolate chip four-pack. Just like the Chocolate flavour ones, these are individually wrapped – making them ideal for picnics and lunchboxes; but instead of a chocolate and hazelnut sauce filling, these have dark chocolate chips throughout – which give them, all in all, a more traditional pain au chocolat style flavour. As you can probably tell from the review, my personal preference was for the others – but loved these too, just that little, tiny bit less. Here we have another product making a welcome return to the box; Enhance for water’s squash thing. In October 2014’s box we were sent the Orange and Passion fruit flavour which we enjoyed; this month we have the slightly more traditional squash flavour, Apple and Blackcurrant. These are simple to use and ideal for those who prefer a little more flavour to their water. The small size makes them great for carrying in a bag (or picnic hamper) and we’re already big fans. A plus is that they’re low calorie (1 calorie per drink) and will make up to 32 drinks – which is probably on a par with those huge bottles of squash you usually pick up at the supermarket. The flavour isn’t bad – it tastes exactly how you’d expect apple and blackcurrant to taste. Not bad – and a nice, quick and easy way to add flavour to water – especially when you’re “on the go”. This month saw us get sent two items from the Kallo range of corn and rice snacks. The first being the 25g bag of sea salt and vinegar snacks. Now I know as low fat, low calorie options, rice cakes seem to have wormed their way into the snacking market place as a healthier alternative to traditional potato-based crisps. But are they any good? To be honest, I’ve been a fan of them for a while. They have a texture not dissimilar to popcorn, and usually the choice of flavours added – be they sweet or savoury – works well. These Kallo snacks were good. The sea salt and vinegar flavour tasted a little different to me – compared to other salt and vinegar flavour snacks. The vinegar tasted a little more subtle – much less of a “burn your tongue off vinegar sensation” compared to other snacks – and to be honest, I find that a welcome difference! These were good, tasty; only 91 calories and gluten free. Something we’d definitely look out for in the future. As impressed as we were with the Kallo salt and vinegar corn and rice snacks... well... our socks were blown off by the Belgian Chocolate with caramel pieces rice cake thins. These are DIVINE! At only 65 calories per…well...reasonably sized square... you don't feel too bad about giving in to their moreish qualities and having "one more". Delicious! And definitely something we've added to our list of favourites to look out for at the store! (Only problem we had is that the packet didn't appear to be resealable - fortunately we had a roll of tape to hand to help with our self control in not eating the whole lot in one sitting). I forgot to mention this, but there's a bit of a poetry thing going on with some of this months items (on top of the picnic theme). The two Kallo products have little poems on their packets; the salt and vinegar snacks have a poem about a "Captain Jack" who balloons around with sandbags full of sea salt and vinegar - these Chocolate and Caramel ones have a poem about a caramel cannon, clown and circus... It made us smile - and it's a bit of fun (which kinda suggests something playful about these products). I said about poems - the Melba Thins came with a little flier with a poem on describing how to use them at a picnic (and on the back, a picnic essential checklist; which, obviously suggests taking some Melba thins along plus things to top them). To be honest, these have a feeling of fun "all over them". The box has a vegetable steam train on it with a "typical rail-styled announcement" on the back of the box talking about 1st, 2nd and third class toppings. Opening their box reveals 10 individually wrapped packs of six; one pack being a portion-size (78 Kcal for those that are interested). Which is brilliant - as well as picnics, it makes lunchboxes a bit of a quicker affair - one pack of things, a couple of cheese spread triangles and lunch is sorted. Tastewise, they're good. They have a nice (loud) crunch to them, a nice texture and a flavour that - while not bad by itself - complements whatever you top them with. 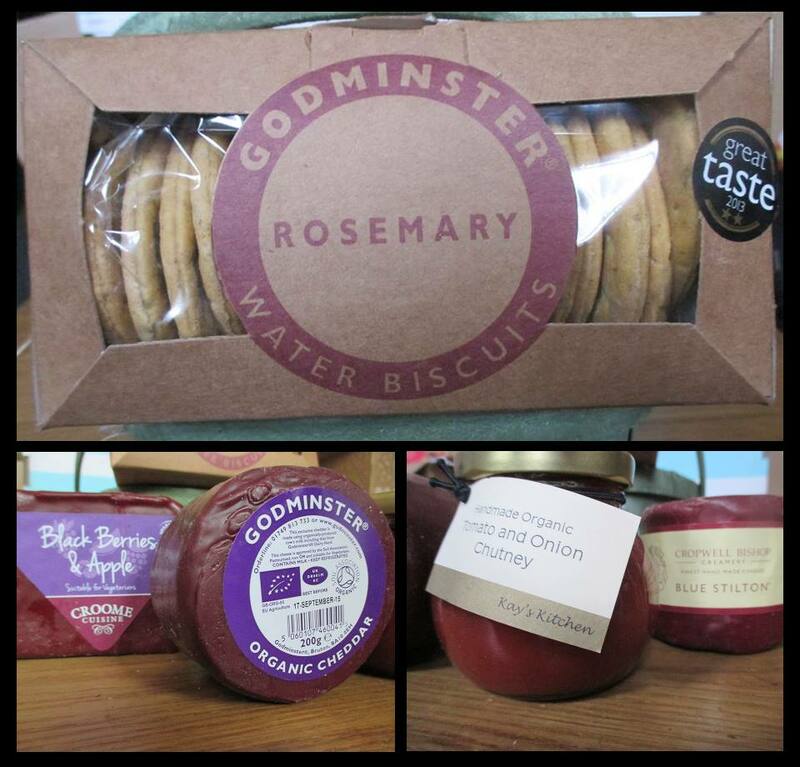 (So far we've been boring and just had cheese - but can see it being really nice with pate, spreads, veg and all sorts). Very nice - one we enjoyed! Well these were a pleasant surprise - Love Chin Chin, African based biscuits that claim to crunch like a biscuit but taste like a cake. To be honest we didn't know what to expect with these, but the fact they had "Cinnamon" as their flavour (and Cinnamon is a favourite flavour here at Chez Webkin) gave us high hopes for this snack - and we weren't disappointed. Opening the bag, you get a large number of thin biscuit-like fingers (but really thin - like chipsticks or something) They have a slight powdery coating to them, and they do both crunch like as biscuit and taste cakey - as claimed! Long story short - we liked these. We liked these a lot (and wish there'd been more bags of them in the box). They are tasty, we love the cinnamon flavour - which is on the more subtle, sweeter side of the cinnamon taste range (rather than the "hot and fiery" you sometimes get). A definite success and one we'll definitely be looking out for more of in the future! Keeping with the picnic theme, we were sent two bottles of Zeo (lightly) carbonated soft drinks; we got the flavours "Zesty lime" and "Peach and Grapefruit." First impressions - we loved the bottles; we could imagine them being upcycled as vases for a small bunch of flowers. Anyway, onto the taste. Both the zesty lime and the peach and grapefruit have a really good taste to it. They're nice, clean and refreshing, and for those concerned about calories, each bottle is only 30 calories. We had ours with a nice salad - and think that worked well. This Collagen jelly drink thing (How would you describe it?) is really nice. It looks like it's an international product distributed by Vybe drinks in the UK. Essentially what we have here is a little drink pouch thing - a little like those lunch-box yoghurt drink pouches - that contains a fruity drink with jelly bits inside it; a little like the Chinese "bubble tea" things you see springing up in various malls and shopping centres across the country. We liked it. The strawberry flavour was really good; it is low calorie and full of vitamin C and other good stuff. It made a nice desert-y type drink - and it would be one we'd seriously consider getting for lunches and snack boxes and similar. Now this is something a little different and exciting. One of the things we do like about Degustabox is that they do put things in that we probably wouldn't consider picking up in the store - which gives us a chance to sample and go "actually, this is quite good - maybe we should pick it up in the store?" This time it's coconom coconut sugar, which is a natural alternative to sugar made from - well - coconuts. We've not sampled this yet, but there was a recipe for coconum brownies on the back of the Degustabox flyer and we're planning on "having a go" at making it and seeing what difference the coconut sugar makes. 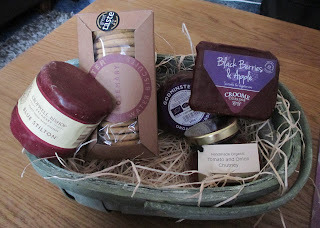 And that is that - another box of foodie goodies (mostly) consumed. We really enjoyed the mix this month, and, probably because of the snacky nature (and the weather) found we got through the box a little quicker than usual. We are big fans of the Degustabox food surprise boxes! Disclaimer: The Degustabox - June box was sent to me for the purposes of this post. All opinions are my own. Another knock at the door, another foodie box delivered for our sampling delights; and this time we’re talking another box of sweet, sweet candy! (Or sweets… no… wait…. This is Taffy Mail, a USA Candy subscription box service – so Candy is definitely the correct word). A classic box costs £14.99 a month which includes 10 - 12 pieces of candy and a can and free package and posting, and you can get your own box by visiting Taffy Mail's brilliant easy to use website. Wow! They cram a lot into the small box don’t they? As you can see there’s a mixture of things, mostly candy, and range from really big packets to small, individual chews. I can’t wait to get stuck in (although my dentist might be going “NOOOOOOOOO! RESIST!!!!”). As a regular visitor to the USA, there are some favourites in here that I’m familiar with; but, there’re also a bunch of things that are new to me! Starting with one of the bigger items in the box, the can of peach soda. This is a carbonated drink made by “Big Red” (in Austin, Texas) and tastes very much of sweet peaches. It’s quite nice and I’d like to use words like “refreshing” and makes a change; here in England we tend not to have many peach flavoured things (except for peaches, which are naturally flavoured). Something nice and different. The Big Peach soda gets a thumbs up from us. Something I’d not tried before, but couldn't wait to sample; a Snickers Peanut Butter Squared bar. Peanut butter candies seem to be sneaking their way into the UK now – the fact that you can find Reeses peanut butter products outside of specialist stores being a real indicator of that fact; but this is one that hasn't snuck over to the UK yet. Snickers, in the USA, have a much wider range than they have in the UK. UK – one flavour (ignoring the limited edition “more nuts/ caramel/ chocolate editions that snuck out last year) – USA – lots of flavours. Although in my travels I’d not encountered the Peanut butter squared bar before. Long story short, it’s like a snickers, but with peanut butter instead of peanuts (although you still get a few, small ones in there). It is nice having the two squares in the packet so you can (if you have enough self-control) save one for later. I think I prefer this flavour to the regular ones! Swedish Fish, which I think aren't actually from Sweden, are little gummy (jelly?) sweets. Think Jelly Babies and you'll be on the right lines. Unlike Jelly babies and similar, these are thin and have a little bit of a different texture to them - and aren't coated in any sort of powder. Very nice! A nice, fruity (not fishy) flavour. To be honest, they're something we've had before but was, and still are a favourite! They are very moreish! This is a new one to us; I don't know if it's one I haven't seen, or just one I've seen but not sampled. Still, it's chocolate and peanut butter - what's not to like? (Pauses to bite) Mmmm. I have to say that this is good. It's fairly similar to "butterfingers" with crunchy - almost like peanut-butter brittle or something surrounded in chocolate (rather than a smooth or crunchy peanut butter filling). Very nice - and something definitely on my "to look out for" list in the future. Another one "new to us"; the cow tales bar is a mix of caramel and … white stuff... um... it says "cream center" - so imagine the sort of thing you'd find in a custard cream biscuit or something. The caramel has a fudge-like quality to it, and the white cream stuff is sweet and I think tastes pretty good. It's an interesting, if slightly different combination of things. Not a bad one though. An old favourite here; we have long been fans of Jolly Ranchers - particularly the boiled sweets (or "hard candy" as Americans tend to refer to it!). They're always packed with flavour and really seem to get the fruit tastes spot on. These chews are no exception - essentially they're like an American Opal Fruit (what do you mean they're not called that any more!) but with slightly different flavours. Very nice, very tasty - and not too bad a box size. Another old favourite here, the Tootsie roll. Now whenever I try and describe Tootsie Rolls (or the other Tootsie variations) to people, I always start off with "It's kinda like a chocolate flavoured chew that doesn't quite really taste of chocolate but tastes of something similar but not quite and you either like it or you don't." Anyway, we like these - and always have (since we've known about their existence). Another favourite (we have a few favourites) is the Airhead chews; they're soft, chewy candy, but - as you can see with ours - come in a few flavours that aren't regular English ones. This one is Grape - which is a "favourite flavour we almost never get over here" one for us. Nice, tasty and grape-a-licious. Dot's are an old favourite of Neil's; these fez-shaped, jelly box-candies are ones he looks forward to - and often brings back on his travels. They are small, gummy-jelly things and taste pretty much as you'd expect. Fruity with a certain moreish quality. Like with Snickers, some favourite brands we actually get over here in UK have a much wider range in the USA; one such brand is M&Ms that have dozens of different varieties - compared to our measly "with peanuts" and "without peanuts" varieties here in the UK. In the Taffy Mail box this month was the Mint (Mint and Dark Chocolate) which is one of our favourite flavour combinations. Mike and Ike are another candy we've encountered in the past, but this month's box has a special "Jurassic World" tropical fruits box of Mike and Ikes which contains a special "mystery" egg shaped candy; well, we've tried it and the mystery is (not saying - it would spoil things!). The rest of the box is full of the usual Mike and Ike flavoured gummy candy ( Kiwi-banana, Caribbean Punch, Strawberry-banana, paradise punch and mango) and is really nice and fruity! One thing we do tend to notice about USA candy is that they seem to get fruity flavours right! Last but not least is Tootsie Caramel Apple pops (lollipop). Now I always have problems with lollipops - I can never get them out the packet without breaking them - so I was happy this time that the lolly stayed whole and on the stick.. Now I was expecting something to taste like caramel apple -but there's more too it than that. Actually there is a line of green apple hard candy surrounded by a circle of caramel. It tastes delicious! Like a candy apple on a stick! And that was our box, we were sent the "classic" box (10-12 types of candy and a can of soda) priced at £14.99 per month. Taffy Mail also do a "lite" box (4-5 types of candy) priced at £7.49 per month and an "extra" box (up to 20 types of candy, a can and at least one premium item) priced at £24.99. If you would like to get sent your own "favourite piece of mail", then you can sign up over at Taffy Mail. We also have a discount code for our blog readers - simply use the code : WEBKINS at the checkout to get 10% off your first three months subscription! Bargain! All in all, it was a really great selection and we were very impressed and hope that you will be too! Disclaimer: The Classic Taffy Mail box was sent to me for the purposes of this post. All opinions are my own.